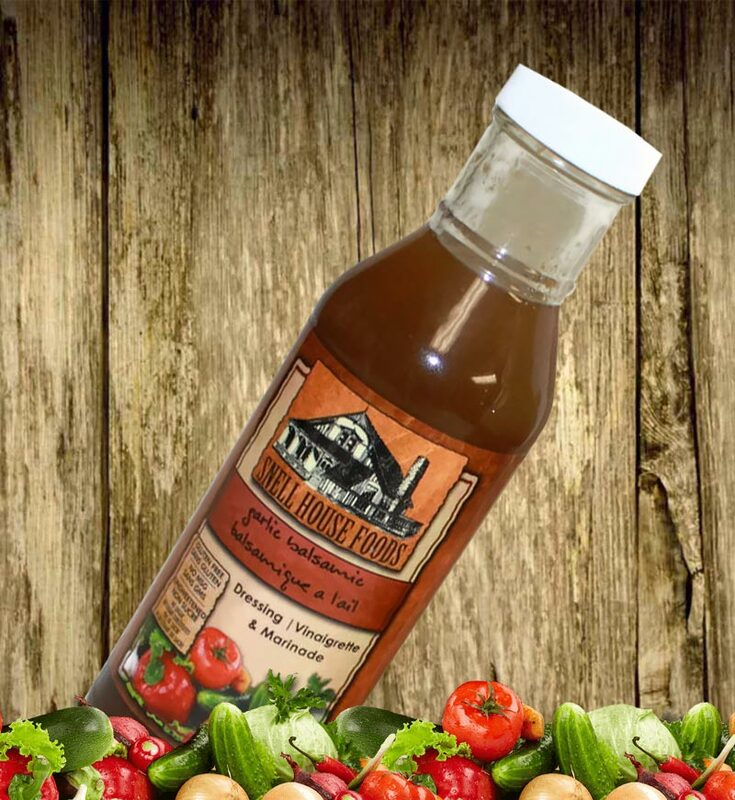 Our Garlic Balsamic Vinaigrette is extremely versatile when used in cooking. A few herbs and basic root vegetables are transformed into a quick and easy side dish with exceptional flavour. Peel and coarsely chop the carrots, parsnips and turnip. Peel off the outer (discoloured) leaves of the sprouts, leave whole. Place all ingredients into a zip lock bag and shake to coat evenly. Prepare at least one hour before cooking to allow flavours to maximize. Spread on a baking stone or sheet in a single layer. Place in the oven at 475 degrees for 45 minutes.